DETROIT (Bloomberg) -- General Motors Co. is preparing for an initial public offering that would sell 20 percent of the Treasury's stake in the automaker and reduce the U.S. to a minority owner, said two people familiar with the plan. The aim is to sell a fifth of the government's 304 million shares, said the people, who asked not to be identified revealing private discussions. That would reduce the Treasury Department's stake to less than 50 percent from 61 percent now. Final decisions on which owners will sell how many shares haven't been made and may change, the people said. A registration statement may be filed in August, aiming for a November stock sale, said four people familiar with the plan. The sale will probably raise $10 billion to $15 billion, depending on the company's performance, the strength of the economy and the health of the IPO market, the people said. An August filing means GM could have the IPO ready around the time of the Nov. 2 congressional elections, said the people. If Treasury can sell enough shares, President Barack Obama could help other Democrats running for office by arguing that his administration's restructuring of GM is paying off, said Joe Phillippi, president of AutoTrends Consulting. The automaker may also issue new shares to raise cash and sell shares owned by Canada and a union-led retiree health-care trust, one of the people said. Selim Bingol, a GM spokesman, declined in an e-mail to comment on the matter. 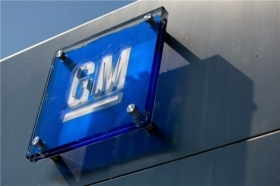 GM has invited analysts, potential investors and representatives of its current shareholders to Detroit for a review of the business on June 29, said a spokeswoman, Renee Rashid-Merem. GM will also give the members of the financial community a look at current and future models, she said. The IPO will be managed by JPMorgan Chase & Co. and Morgan Stanley, people familiar with the matter have said. They will collect fees of 0.75 percent of the sale, said a person briefed on the matter. Such fees would be a quarter of the usual rate for large stock sales. JPMorgan had offered to accept payment in equity instead of cash, though that idea was rejected by GM and Treasury, two people said. The U.S. will probably sell its GM stock over “a few years,” CFO Chris Liddell said in a May 17 Bloomberg Television interview.